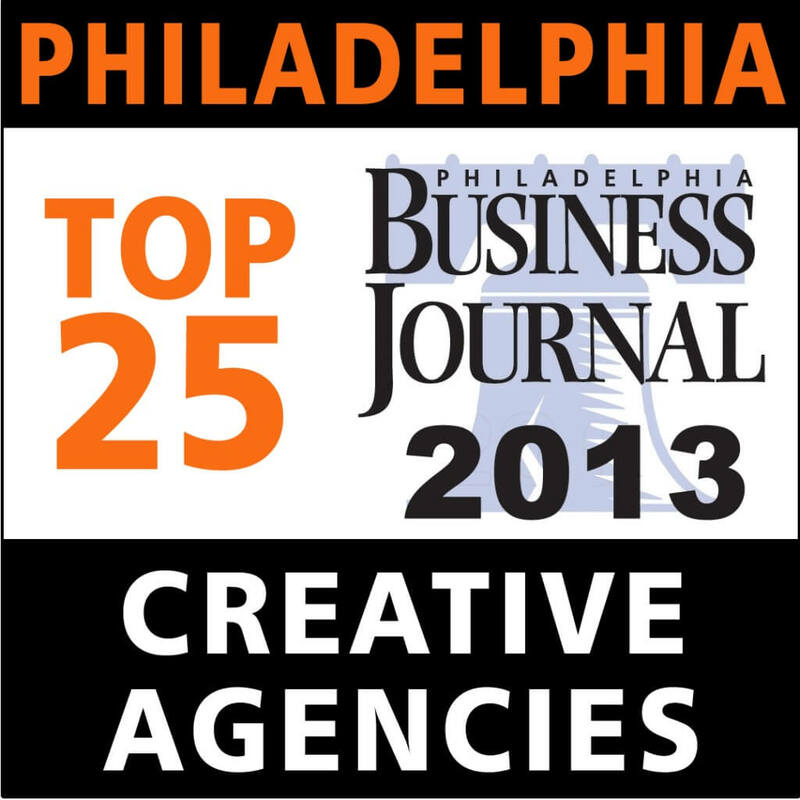 We are very proud to announce that Manna Design, as a New Jersey and Philadelphia area Web and Creative Design Firm has been named to the Philadelphia Business Journal’s 2013 Top 25 Creative Agencies list for the first time. Each year the Philadelphia Business Journal publishes lists of the area’s “Top 25” companies by service category. This is the second year the category of “Creative Agency” was produced. The lists, compiled by Business Journal researchers and local market experts, are used by top business-decision makers throughout the region and across the country. The number of employees, clients served and services offered are among the criteria used to compile the 2013 Top 25 Creative Agencies List. Manna Design was the only Creative Agency in New Jersey to make the list. “What makes this a particularly proud moment is the fact that we are usually perceived as just a ‘South Jersey’ website design firm,” shared Owner Robert Harrington. “In reality, we’ve won several awards for our graphic design and marketing work. Ironically, it’s a great example of why you need a solid marketing plan to break out of an established industry image. Since most of our prospective clients only see our names on websites we’ve designed or in search results, many don’t realize that we offer a complete suite of integrated, multi-channel marketing from initial branding all the way to search engine optimization and sales collateral design. We’re also not just a ‘South Jersey design firm’; we have clients from New York all the way down to Florida, though by far, our core is the Philadelphia Metro Area. This recognition is confirmation that our own marketing and re-imaging efforts have been paying off.” “Ultimately though, we wouldn’t have made the list if it weren’t for our amazing graphic design team. We have some very talented individuals working to make this all happen.” This isn’t the first time Manna has been recognized by the Philadelphia Business Journal. In September of 2012, Manna was named to the Top 25 List of Philadelphia and South Jersey Web Design Firms for the fourth time in 5 years. In November that same year, Manna was named to the Top 25 List of Philadelphia and South Jersey Veteran Owned Businesses. The complete list can be found in the August 30th edition of the business journal. Manna Design was the only Creative Agency in New Jersey to make list of Top 25 Philadelphia Creative Agencies.